Our most anticipated event of the year is here. 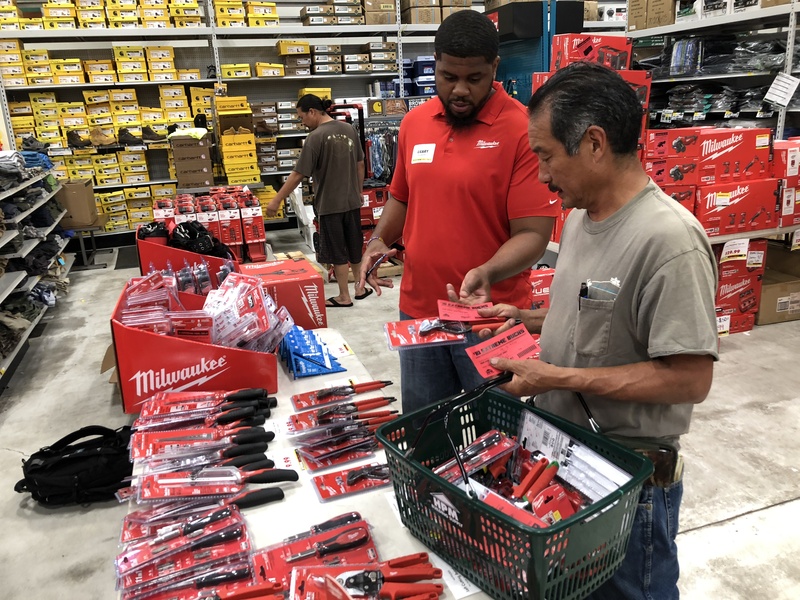 Get quality pro-grade tools at blowout prices. Plus, join in on the fun with extreme skills challenges for a chance to receive even more discounts! 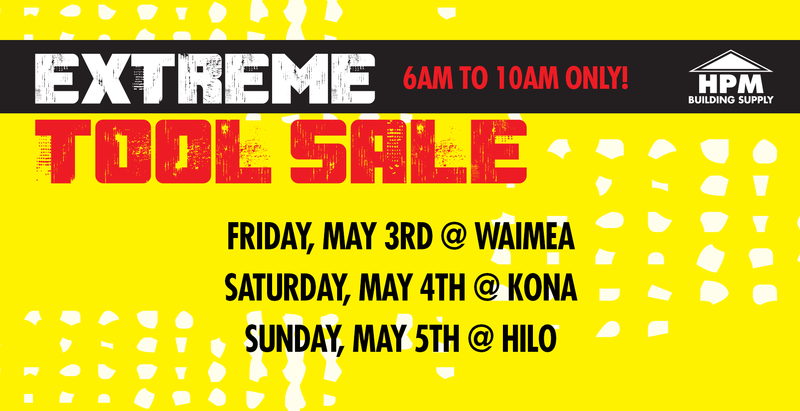 Friday, May 3rd @ Waimea, 6:00 a.m. - 10 a.m.
Saturday, May 4th @ Kona, 6:00 a.m. - 10 a.m.
Sunday, May 5th @ Hilo, 6:00 a.m. - 10 a.m.
Be sure to arrive early to SAVE on limited Doorbuster deals! 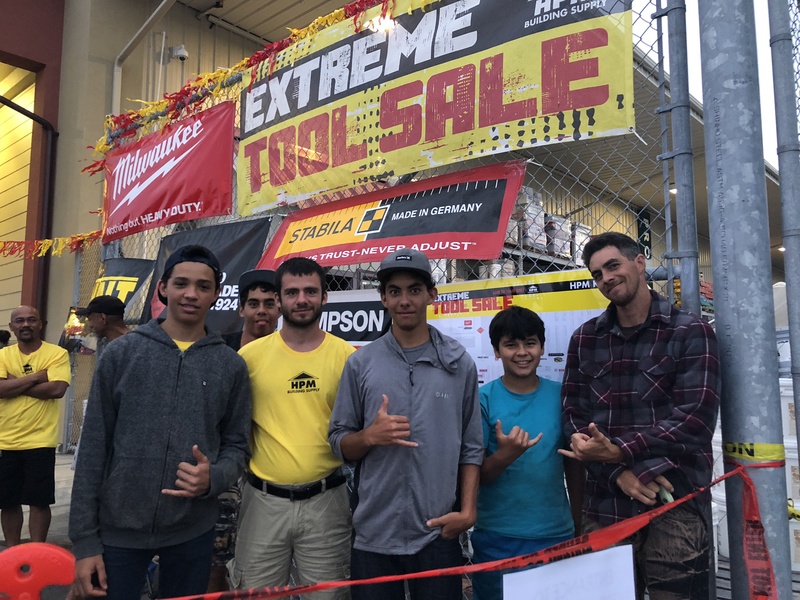 Enter for your shot at $100 OFF DeWalt tools at HPM Kona & Hilo! “Screw It” @ 8:00 a.m.
Screw in & unscrew screws the fastest! “Iron Cross” @ 8:45 a.m. Hold up 2 DeWalt Saws the longest! “Nail it Down” @ 9:30 a.m.
Nail 10 nails the fastest! One winner from each challenge will get $100 off their Extreme Tool Sale DeWalt Purchase! Maximum 10 entrants per challenge. Sign up at the sale event. 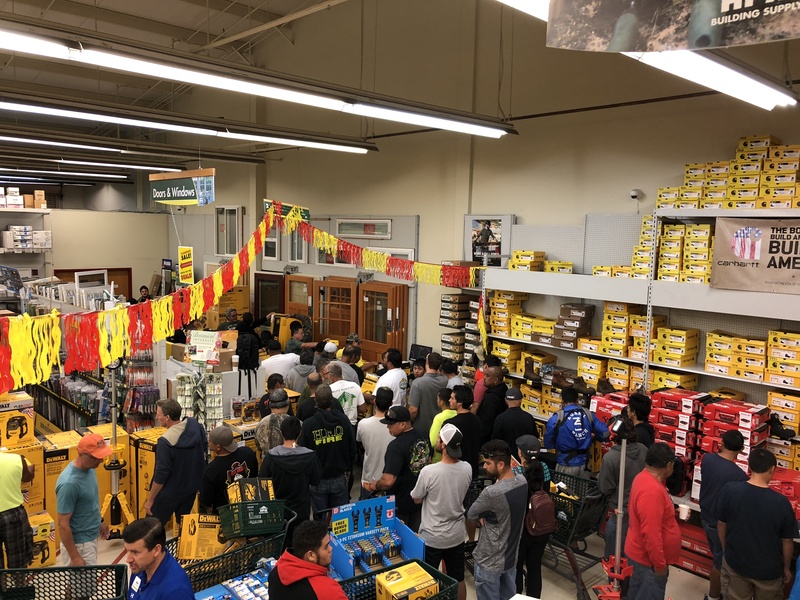 Browse through our selection of hundreds of products including power tools, circular saws, miter saws, table saws, drills and drivers, hammer drills, grinders and cut-off tools, oscillating tools, jobsite radios, & much more! Be sure to RSVP to these events. See you there! Valid at Big Island HPM stores only. Prices valid during hours of sale only. Doorbusters limited to one of each item per person. Limited to stock on-hand. No rainchecks. Sign-up to stay up to date with our sales!